Planting a tree in an environment where the seed or the plant would not get water adequately through natural sources like rain or ground water in its initial phases has been always a matter of concern for tree planters. This is where an autonomous moisture monitor for plants system can help. 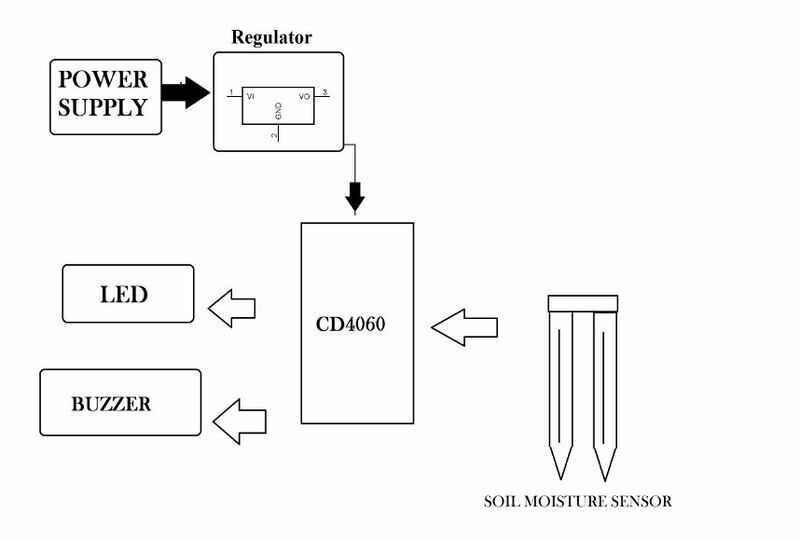 The system timely monitors the moisture level of the soil. If at the time of monitoring it comes to know that the moisture level of the soil is lower than recommended then it will raise an audio visual alert. This alert is then received by the care taker of the plant. When the care taker waters the plant the alarm goes off and the monitoring cycle continues. 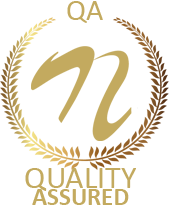 In this system we use a timer IC to time the monitoring process. 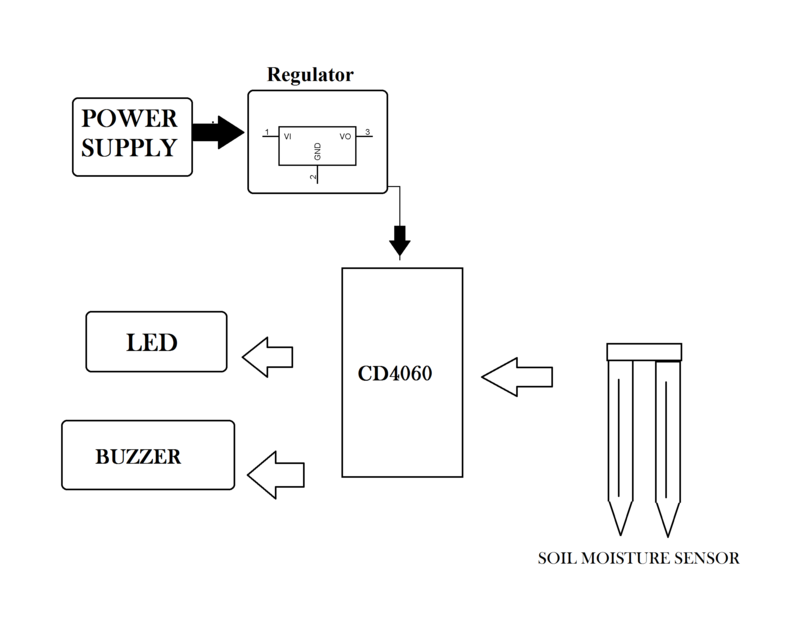 A moisture level sensor is used to detect the moisture level of the soil. 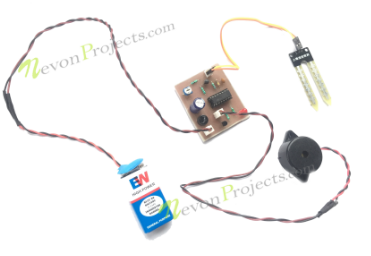 An LED is used to give visual alarm and a Buzzer is used to give audio alarm to the care taker of the plant. 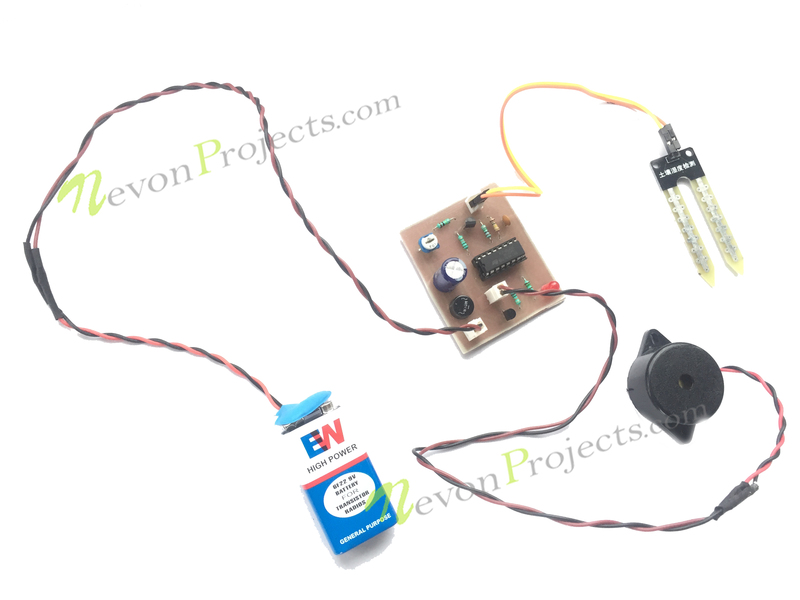 Thus in this project with the help of a simple combinational circuit and a sensor we can help save a plant by maintaining the moisture level of the soil of the plant, thus keeping the plant healthy.